With over 20 years experience delivering science and STEM education, Eggucation provides high quality and ethically sound enrichment experiences in schools right across Northern England. 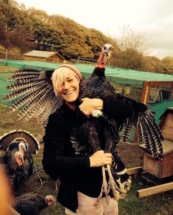 We are a family company, based on the northern edge of Sheffield, where we keep our birds in five star luxury, free ranging one of the many hills in the area! 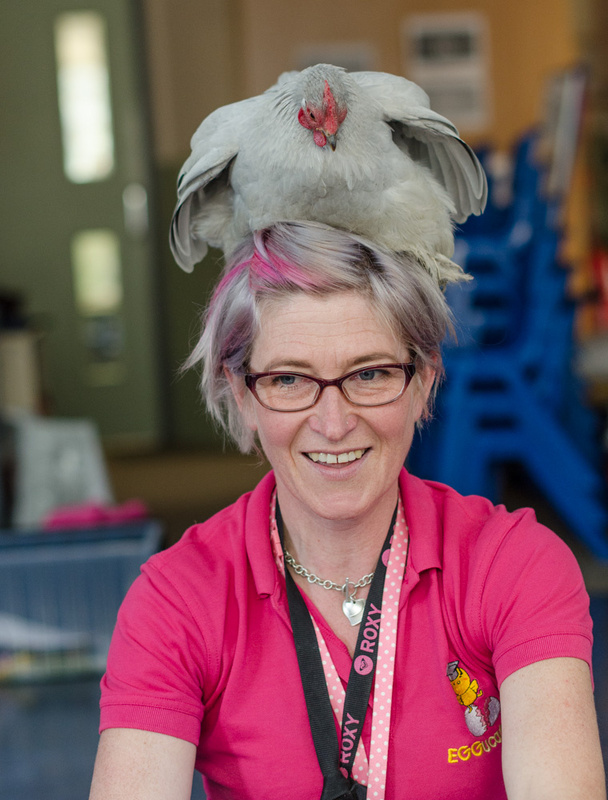 We have a great team of passionate poultry breeders, each with our own flocks of champion birds, providing your school with a fabulous ‘Conservation in the Classroom‘ experience. Deb has over 20 years experience teaching Science in a Specialist Science College and knows what makes for an engaging experience for pupils of all ages. 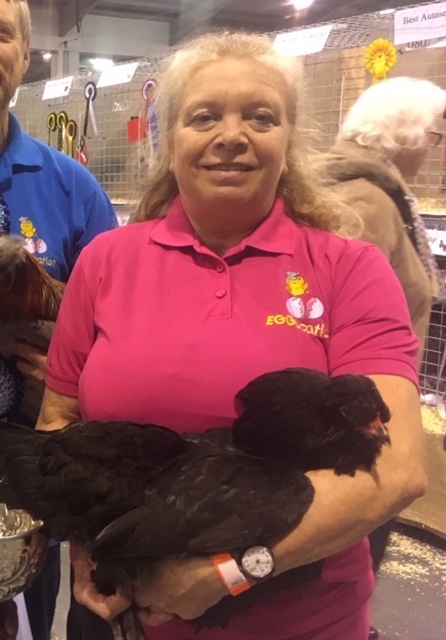 She also works for the Rare Breeds Survival Trust, both in the capacity of promoting the conservation of rare breeds, and as an adviser on their Poultry Working Group. This group meets several times a year to ensure policies are in place to preserve Britain’s rarest poultry. 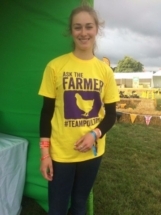 Debs has worked alongside Adam Henson (Cotswold Farm Park/Countryfile) and Jimmy Doherty (Jimmy’s Farm), helping them with poultry conservation projects. 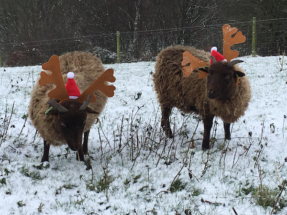 We are passionate about conserving rare breeds! 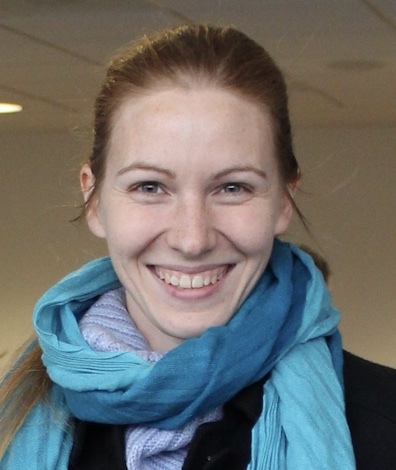 In addition, Debs has a Zoology degree from Sheffield University, and a Masters degree in Applied Animal Behaviour and Welfare from Edinburgh University. Dani is a genetics enthusiast! She has a wealth of experience in breeding, having a BSc in Equine Breeding and Stud Management as well as experience across the world with famous studs and running her own alpaca breeding programme. Dani is passionate about her poultry. She prides herself on welfare, giving them land and accommodation well-above standard, and has been working hard to reintroduce extinct and rare colours in Araucanas as well as restore the utility value of Vorwerks, in the hopes that they once again become a regular sight across the UK. Currently, she is also working to promote predator-friendly pasture management with the use of livestock guardian dogs. 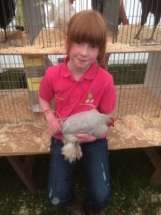 Kate has been keeping and showing poultry and eggs for 30 years alongside her pedigree rare breed sheep. She keeps a flock of Portland sheep and Golden Guernsey goats which are on the RBST list. Kate’s main breed are Araucanas and she is currently president of the club. She also keeps rare breed Thuringian, Kraienkoppe and Friesian Fowl . Kate is also a member of the Rare poultry Society. 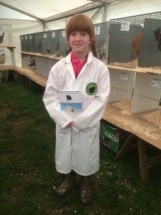 Colin has over 50 years’ experience of keeping and breeding pigeons and poultry. He has retired recently from the position of Director of Science at a large academy, having completed 27 years in Science education. He has a BSc (hons) in Zoology from Liverpool University and 4 different postgraduate qualifications in education, enabling him to create an excellent climate for learning for students of any age. He keeps and exhibits several different breeds of poultry but is best known for rescuing rumpless araucanas from extinction in the UK. 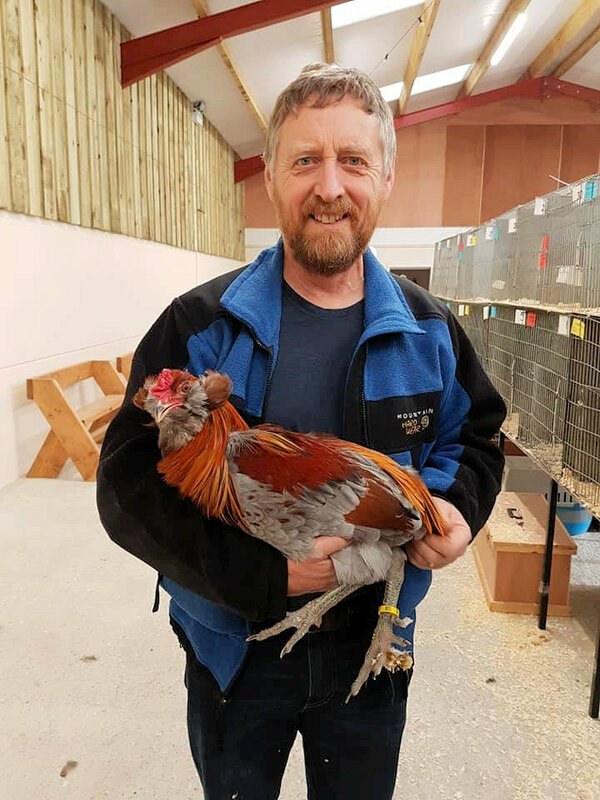 Using his experience over the last 10 years, he has bred them to a standard where they can compete successfully with other breeds at major poultry shows. He is also a Poultry Club panel judge. He is on the committee of the British Araucana Club and Northumberland and Durham Bantam Club and a member of the Poultry Club of Great Britain, the British Barnevelder Club and the Old English Game Bantam Club. 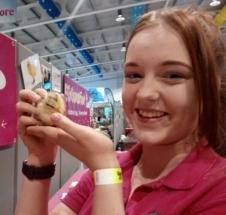 Eggucation is a family run business with everyone sharing our passion for poultry and drive to educate! 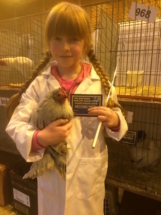 Here are just some of our team…..
Mia - chicken cleaner eggstraordinaire! To see our fabulous birds at home, visit the gallery.